We have your document storage solution at Federal Companies. Federal Record Storage Company provides a secure, clean, accessible and economical solution to your company’s hard copy records, computer media, microfilm, form storage, and record storage requirements. Federal Companies’ goal is “To Be Customer Valuable” for every document storage need. 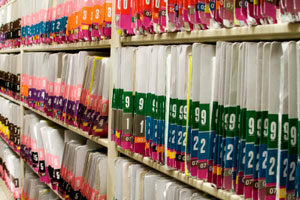 At Federal Record Storage Company, we are your one-stop provider of full-service documents storage services. Contact us today to find out how we can provide you with a storage solution within our state-of-the-art facilities. To obtain a free document storage consultation, please fill out the form featured on this page.